Thomas Macy was born in 1608, in Wiltshire County, England, in the town of Chilmark. Wiltshire County was a major center for commercial weaving in the 17th century. Macy has been listed on various documents as a merchant, a clothier or a weaver. Macy arrived in America about 1635 and settled in Newbury, Massachusetts. In 1640, he was granted land in Salisbury, Massachusetts five miles up the Merrimack River. In 1643, Thomas Macy married Sarah Hopcott (1612-1706). Sarah had arrived in Salem, Massachusetts in 1640. By 1649, Macy had move across the Powow River to ‘Salisbury New Town’ (later Amesbury). He became overseer of Amesbury’s schools in 1652; deputy to the General Court in 1654; the first town clerk in 1655, and a signer of the Articles of Agreement for the town of Amesbury in 1658. About 1649, Macy built a house on what is now the Macy-Colby House property. He sold this house to Anthony Colby in 1654 and Macy moved his family to the center of Amesbury, where he built a new saw mill. Thomas Macy was an ardent Baptist and often at odds with the Calvinist-leaning Puritan Church. The Church was the center of the community, politically as well as spiritually. Attendance was compulsory and the upkeep of the Church was financed through taxation. In the summer of 1657, Thomas Macy harbored four Quakers for less than an hour in his home during a severe rainstorm. His neighbors reported his generous but unlawful act to the Reverend Mr. Worcester, and it was quickly report to the General Court. In May 1657 a law had been passed against harboring ‘any of the cursed sects of Quakers’. His act of kindness caused the General Court to fine him thirty shillings and to be “admonished” by the governor. In the poem, The Exiles, written by poet John Greenleaf Whittier, it is suggested Macy was banished from the community for harboring Quakers, and had fled to the island of Nantucket off Cape Cod. This is not quite true; Whittier, a Quaker himself, had taken some poetic liberties with the story, since Macy left two years after the incident. Thomas Macy, Tristram Coffin and seventeen other local residents, purchased land on the island of Nantucket from Thomas Mayhew, the Governor of Martha’s Vineyard. Mayhem was Thomas Macy’s cousin. In the fall of 1659, Thomas Macy and his family set out in a small boat on a perilous journey for the island of Nantucket and became its first European settlers. Nantucket was part of the New York colony until 1709 and not subject to the strict Massachusetts Bay Colony Puritan regulations. Nantucket was to become a Quaker stronghold in the early 1700’s. 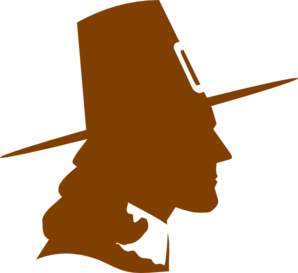 Thomas Macy, who became a Chief Magistrate in 1676, remained a staunch Baptist until his death on April 19, 1682, but his wife Sarah converted to Quakerism sometime before her death in 1706 at the age of 94 years.